Friday, September 7, 2018 - Before Mombasa Governor Hassan Joho wrecked Dennis Okari’s marriage, they were best of friends. Joho used to give Okari jobs to do PR for him and that’s why he made frequent trips to the Coast. Things started taking a different turn when Betty Kyallo started accompanying Okari to Mombasa during his business trips. Back then, they were just dating preparing to settle down for marriage through a wedding. 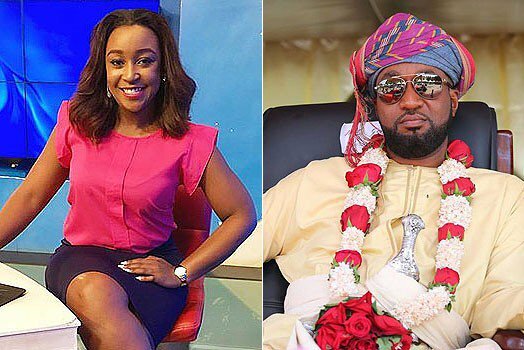 Joho, who is known for his special appetite for hot women, started eyeing Betty Kyallo behind Okari’s back. Okari trusted Joho so much that he couldn’t imagine that he would break the friendship boundaries and start an affair with Betty. Just to show you how he trusted Joho, at times, he left Betty Kyallo with him to run his errands in a different town at the Coast during his business trips. He thought that his sweetheart was in safe hands but Sultan had other plans. “Joho even contributed towards their wedding.” A friend revealed. Okari came to learn that Joho had an affair with Betty Kyallo after he gave her a Porsche, few months after they settled down for marriage through a lavish wedding. Okari was so mad at Betty for accepting the high end car from the Governor, leading to a bitter divorce.